DOH, OMH, OASAS, OCFS and OPWDD in partnership with MCTAC are pleased to offer Part 2 of the New Children's SPA and Aligned HCBS draft rates webinar series. 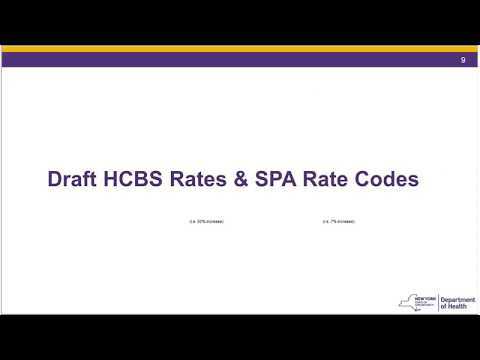 While Part 1 (held on Oct 10th) focused on rate methodology, Part 2 focused on details about the draft rates and included billing codes. Target Audience: Children's provider agencies providing or planning to provide new SPA and/or Aligned HCBS services, and Managed Care Organizations. Billing and finance staff are strongly encouraged to attend.